I always love to see crows, but I must admit I’m always a bit sad to see them typecast as harbingers of death and all things spooky, especially at Halloween. 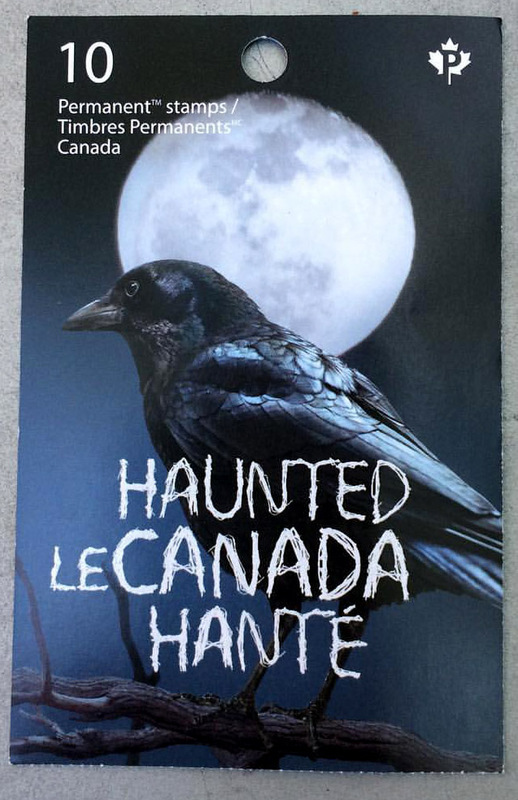 I was torn between excitement at seeing a crow on a book of stamps I just bought at the post office, and disappointment that they were supposed to be “haunted”. My new “red sky crow” pendant would seem, at first blush, to be part of the problem. But, I’d like people who wear it to know the actual story behind the image. It’s a story that paints a truer picture of people being far, far scarier than crows. This summer in Vancouver was rather frightening. 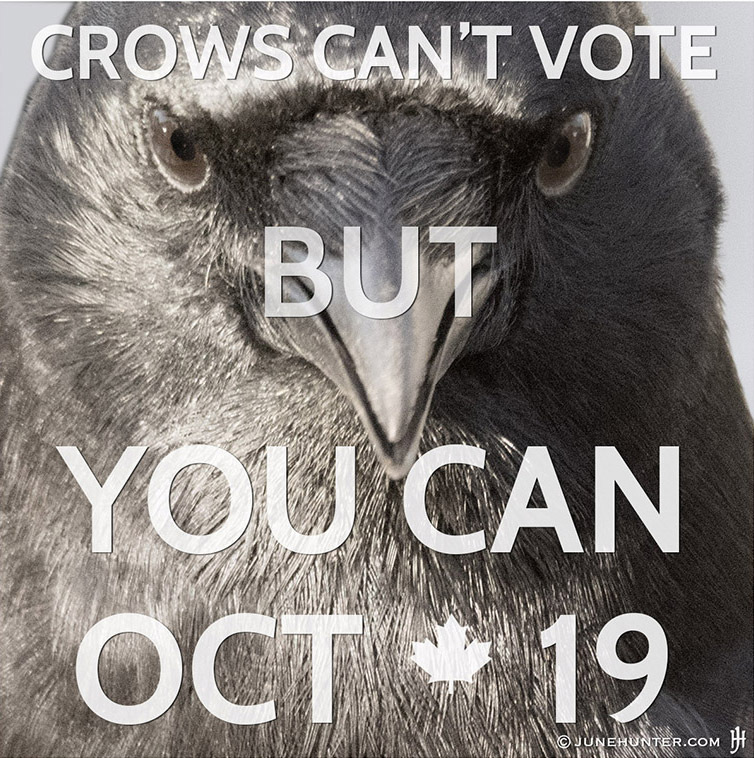 I wrote something about it in my early blog, Crowpocalypse 2015. In some ways it was great — day after day of dry sunny weather. Great for the beach and outdoor activities. But it was a brutal summer too, with the drought making the usual summer wildfire season much more severe. Lack of water made it a disastrous summer for wildlife of all kinds. During the hottest part of the summer I was in the habit of getting up early to walk and work before it got too warm. 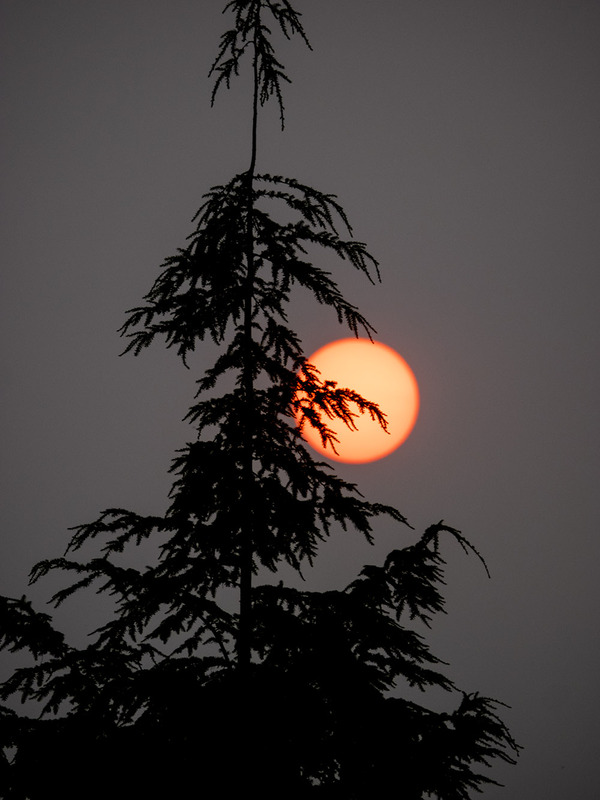 In July there were so many forest fires in the surrounding areas that Vancouver was blanketed in smoke for several days. At dawn things looked particularly apocryphal when the sun rose, an eerie red ball on the horizon. 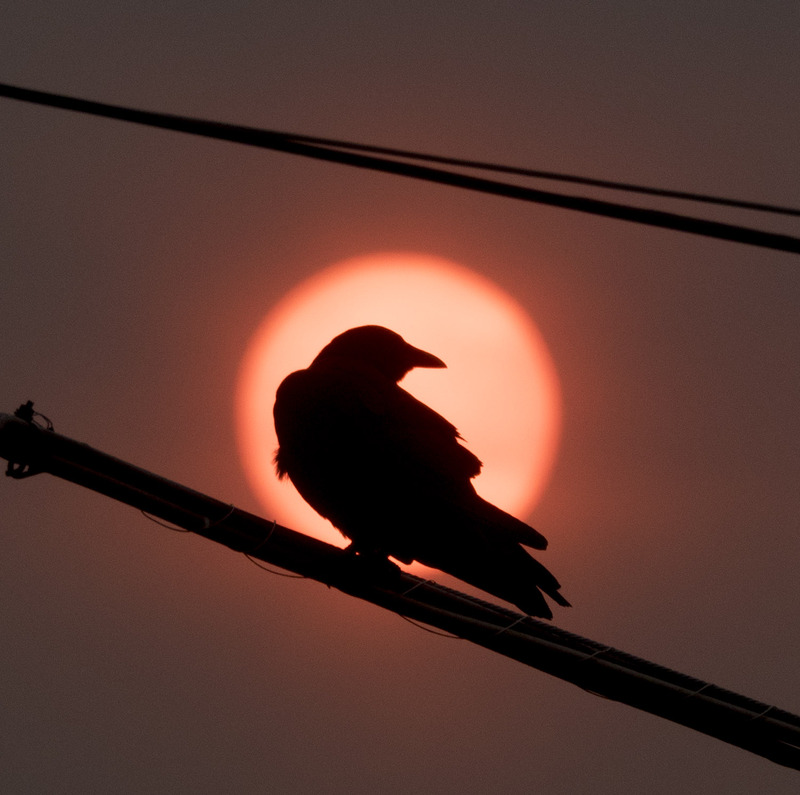 So, this is where the Red Sky Crow came from. 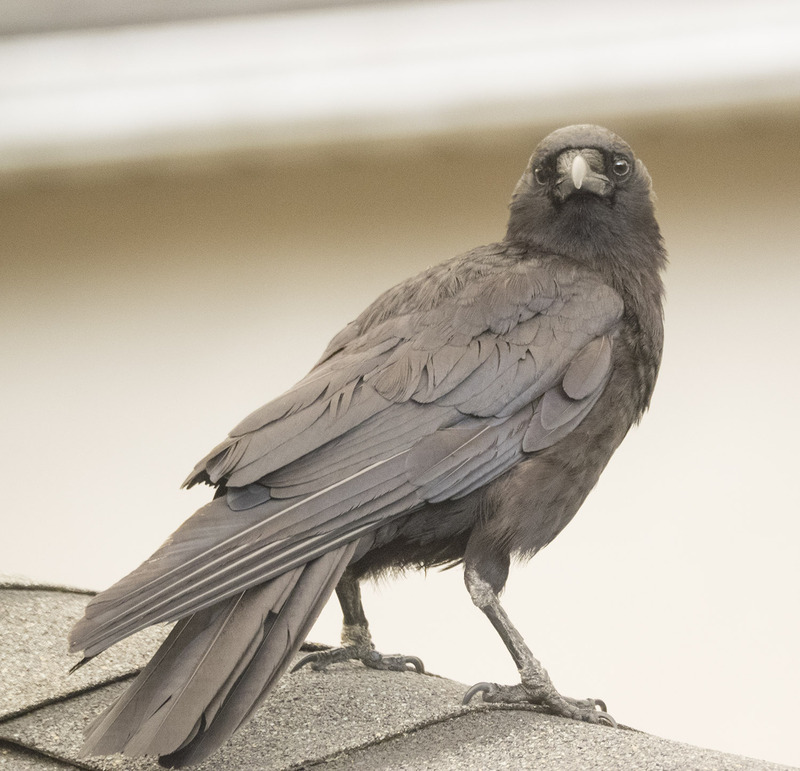 It’s not a spooky Halloween Crow at all. In fact it’s a “wake up people and smell the climate-change coffee” sort of crow. It just so happens that the colours of the image and pendant are perfect for Halloween and fall – but if you do wear it, or see someone else wearing it — remember (and share) the real scary story behind it. I suppose everyone has their own opinion of crows. I think of them as beautiful, wise, powerful, agile, funny, social and symbolic, but never spooky. 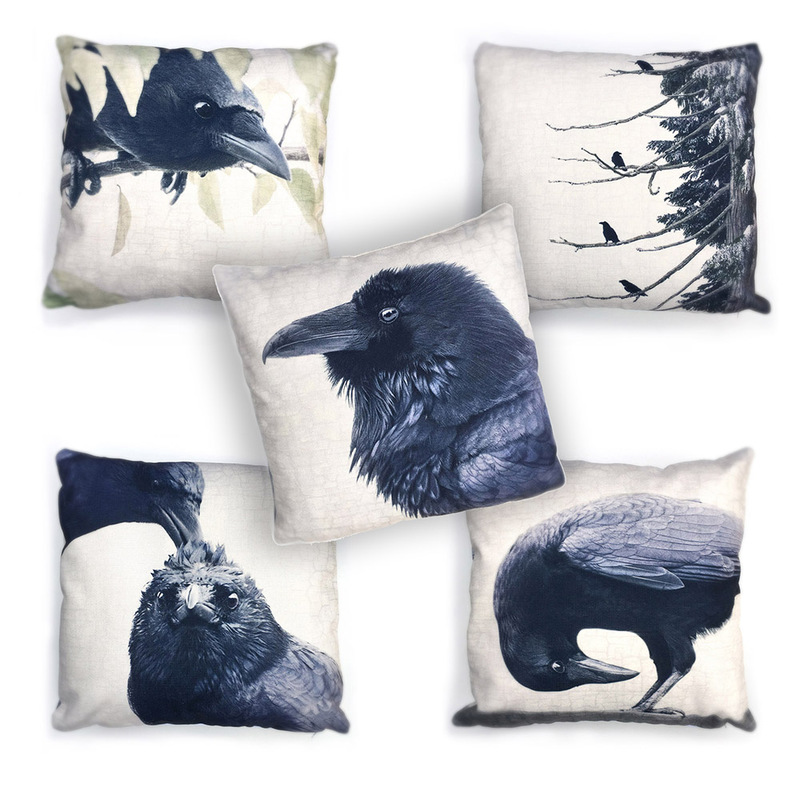 If you’d like to celebrate the beauty and intelligence of crows all through 2016, check out my City Crow calendar.